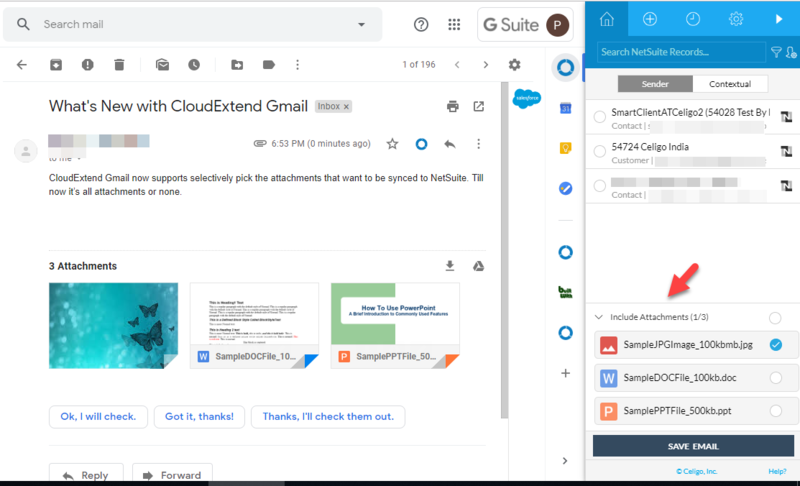 Step 1: Choose the records you want to save the email to and the click on Include Attachments , the attachment selector will slide up and you can pick one or more attachments that you want to sync to NetSuite along with your message. Then click "SAVE EMAIL"
NOTE: You can include all or none of the attachment as your desire. Keep in mind these attachments are stored to your NetSuite storage space.